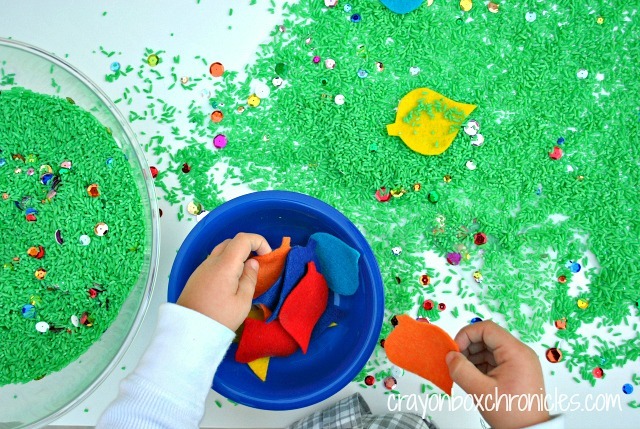 Welcome to our last post in our Sensational Winter Sensory Play Series! 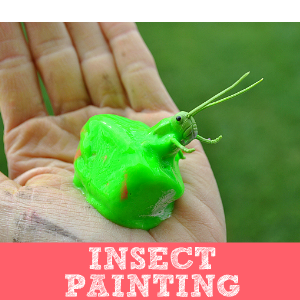 I’m teaming up with the wonderful and super-talented Frogs Snails and Puppy Dog Tails to bring you fun, sensory-related winter activities in November. So far we’ve explored the Antarctic Sensory Iceberg with small world play and Build-A-Snowman Foam Dough play! 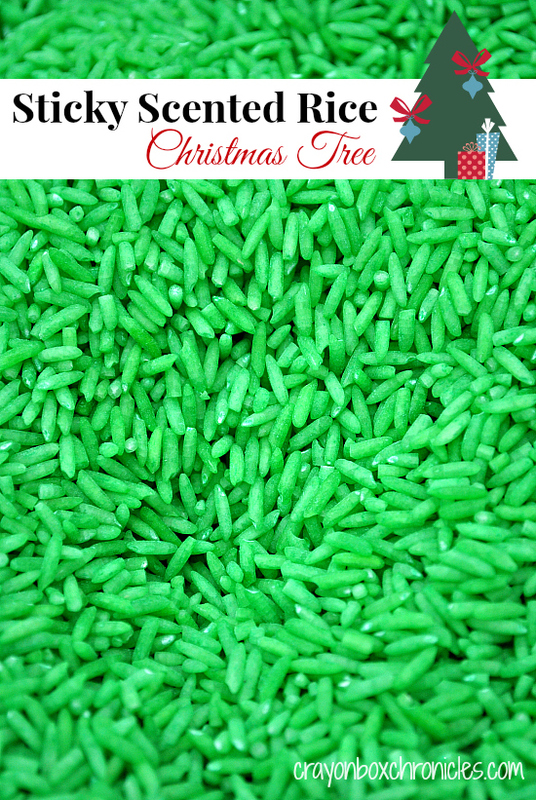 Today, we’ll be making Scented Rice Sticky Christmas Tree. 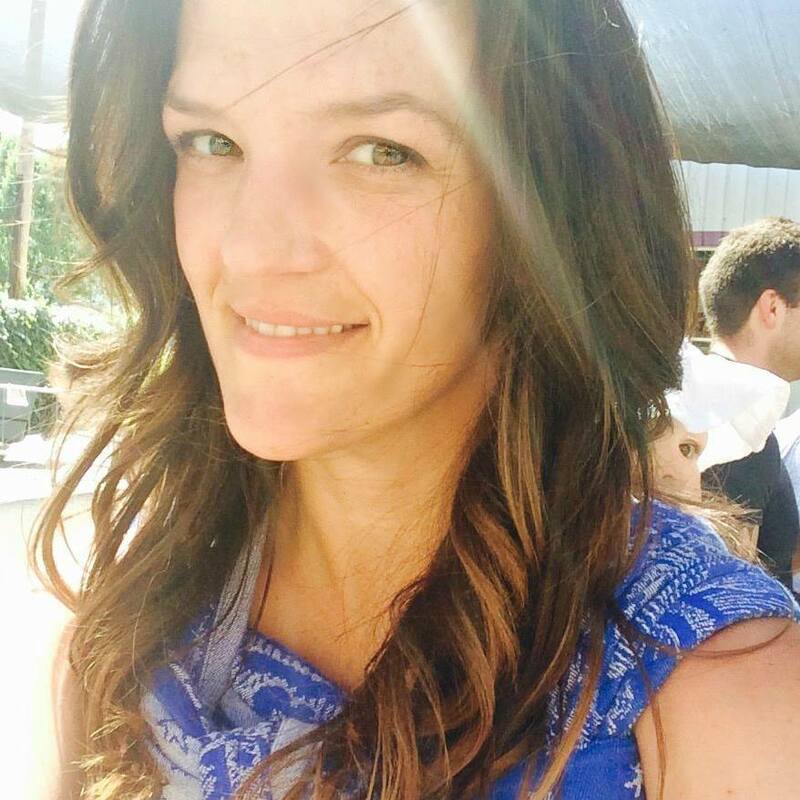 We will be linking to each others posts, so please stop by Jaime’s page too! Links will be at the bottom of each post. Now, let’s dive into our scented rice activity! When you think of the holidays, what scents come to mind? Well, I reached out to my readers on this one and they had so many wonderful ideas! I ended up going with hazelnut! 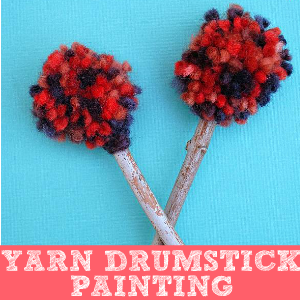 The aromatic smell reminds me of hot beverages on a chilly winter day – so yummy! 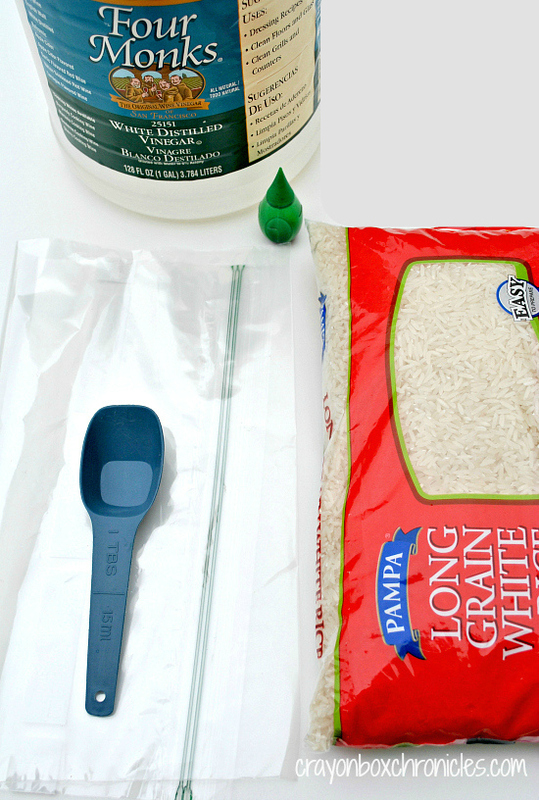 Coloring and scenting rice is so simple and inexpensive. 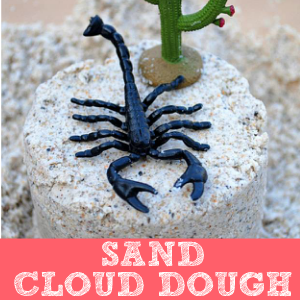 Plus, the cool sensations and fragrant smells provide sensory stimulation and endless hours of fun for your preschooler. 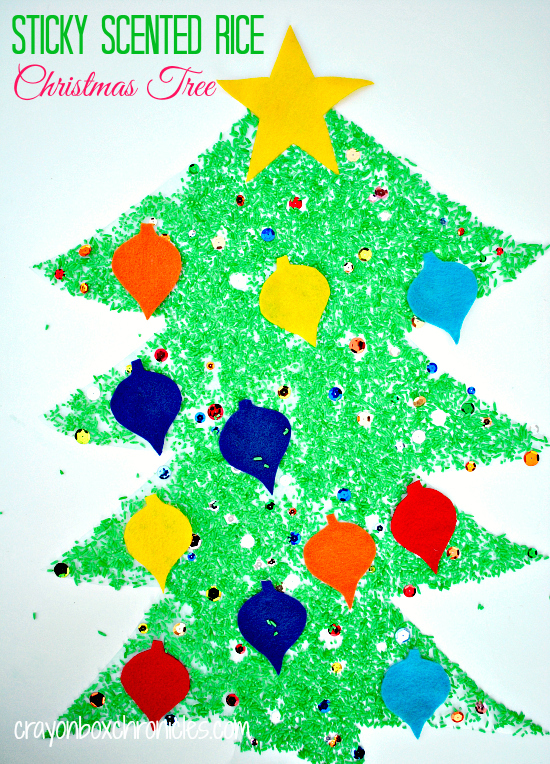 In celebration of winter and the holidays, we’re making a sticky Christmas tree with hazelnut green rice, felt, sequins, contact paper! This easy recipe whips-up in a jiffy! 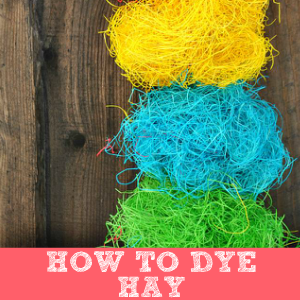 We’ve dyed pasta in the past and that was a lot of fun, especially for fine motor activities. But, I knew there was a cheaper and more natural way to do it. 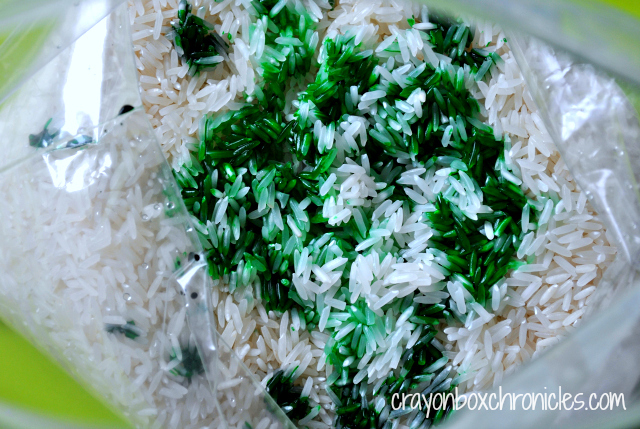 I remember seeing this beautiful and bright post from Powerful Mothering on coloring rice. She also has a wonderful post of neutralizing the smell if needed. Pop over to get her fantastic recipe. We made 6 cups total and varied the recipe with hazelnut extract and green food coloring. C loved mixing it up! A trick we learned along the way was to leave as much air in the bag as possible to eliminate the drying step. As you can see, C could hardly wait for the bowl let alone the sticky Christmas tree craft! I was so amazed at how much he LOVED the rice! It has a nice cool and realizing feeling when you run it between your fingers! We’re definitely making lots more and in different colors too! Total cost to make was just $1. 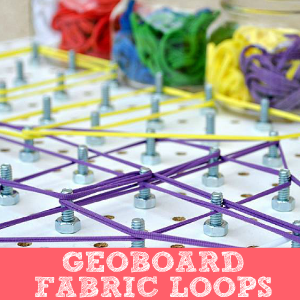 If you need all the supplies, you could easily make it for under $5. Now, let’s make our sticky Christmas tree! 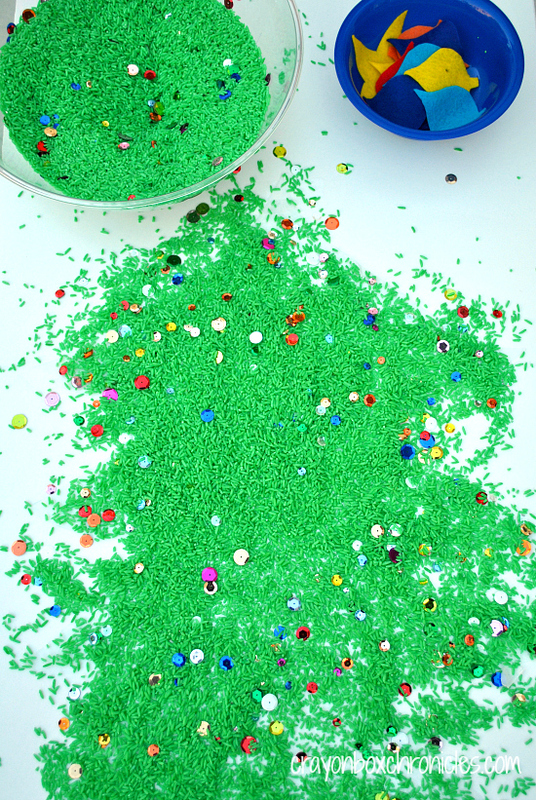 For the Christmas tree, we used green rice for the tree, sequins for the dazzling lights, and felt for the bulbs and shimmering star! Simply cut out your bulbs and star from felt. I used a bulb template from the web as a guide. 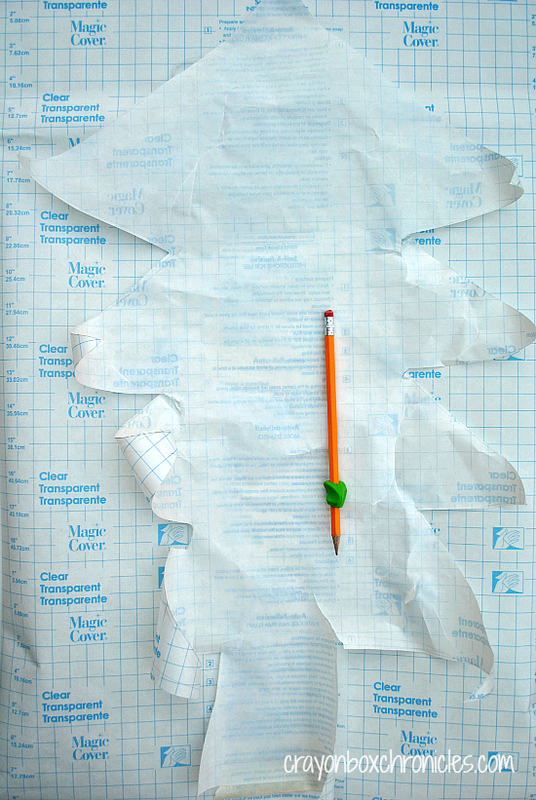 Next, roll out your contact paper and tape it down to your surface. Draw a Christmas tree and cut it out. To save time, cut out your tree and flip it over (white/clear side up, not lined side) and trace another tree. Unfortunately, I learned the hard way and did it after we made our tree, so it was more difficult with the backing curling up. Now you have both pieces – one to apply the rice and felt too and the other to stick on top of it. Once you have everything ready, it’s time to create! Tape your tree to a flat surface, lined/printed side up and remove the film. C was so excited he dumped the sequins into the bowl of scented rice! Apply the bulbs and star. Apply the shimmery light sequins, press down firmly. Apply the green rice, minimally, leaving the edges clear to help the two pieces adhere at the end. This is a lot of rice! I think C dumped it on and took it off 10 times! He was having so much fun playing with it that he could have cared less about the decoration! But, that’s the point right?! It smelled lovely! He kept pouring, re-filling, and smelling it. I guess you could call it a sensory bin tree! As you can see we did the bulbs last and it was much harder for them to stick. So bulbs first! I just love how the colors popped and our handle smell fantastic! This sensory experience was so fun! Plus, we have a festive and scented decoration and for our front window! Once you finished, apply the other piece on top. Now, I must warn you, it doesn’t stick too well with a lot of rice, but it looks so pretty! We just taped the two pieces together where it was needed, then taped it to the window. The photo below is before we added the second piece over the top and hung it in the window. It’s not perfect, but it sure was fun! This was such a fun series! 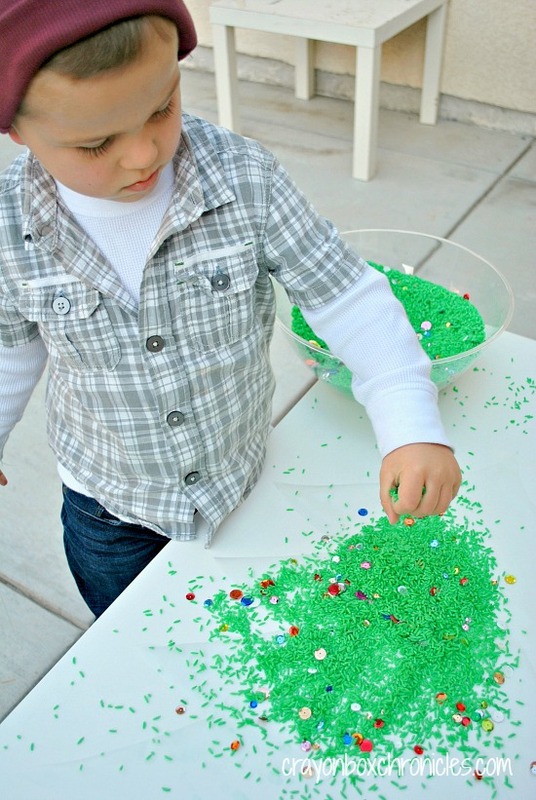 Here’s all our Sensational Winter Sensory Play Activities! If you’d like to see more, please consider Subscribing By Email. 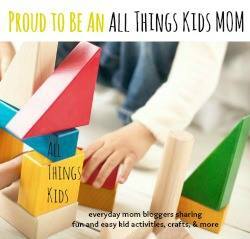 Join us on Facebook, Pinterest, Twitter, Bloglovin’, and Google+. 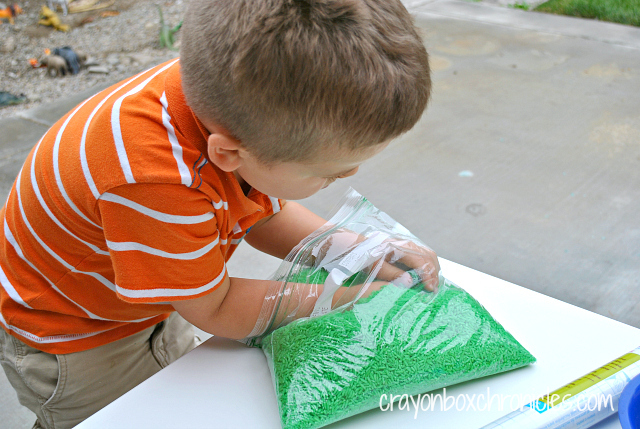 Pingback: Christmas Science Experiments and Sensory Play - Fun-A-Day! 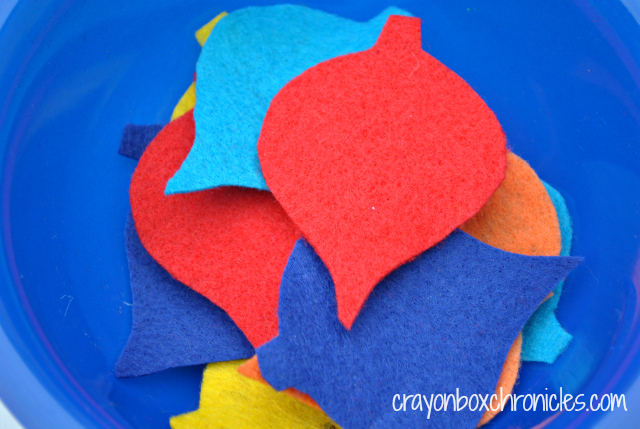 Pingback: 30+ Christmas Tree Crafts and Activities for Kids - Fun-A-Day! Mmm! I love the smell of hazelnut. I bet that was such a sensory delight. Thank you for sharing at Discover & Explore. I’m featuring your post this week. Thanks for the great idea. Modified it for use with my senior population. 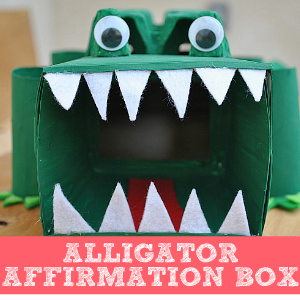 Linked to it on my activity leadership page! Awesome! Love to hear you enjoyed it! Thank you for the link as well. Have a wonderful holiday! 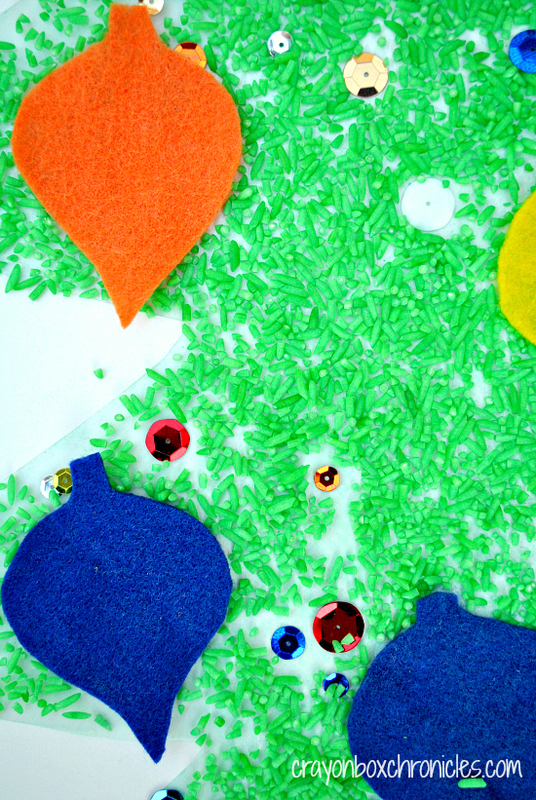 Pingback: Christmas Contact Paper Art - A Seasonal Sticky Table - Fun-A-Day! You know I always love your ideas and they are always so good for my little sensory seeker – thank you for sharing on the christmas collection. 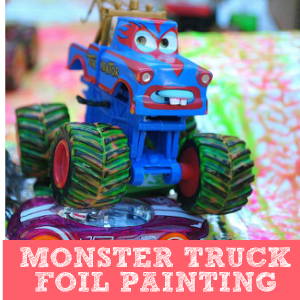 I found you at Crafty Moms Share. What great ideas and so colourful. All the senses too. I am the author/illustrator of Tadeo Turtle a story for ages under 8. Please check out my website for more information. Tadeo is on sale for $10 for the next 3 days and 2 free gifts as well. 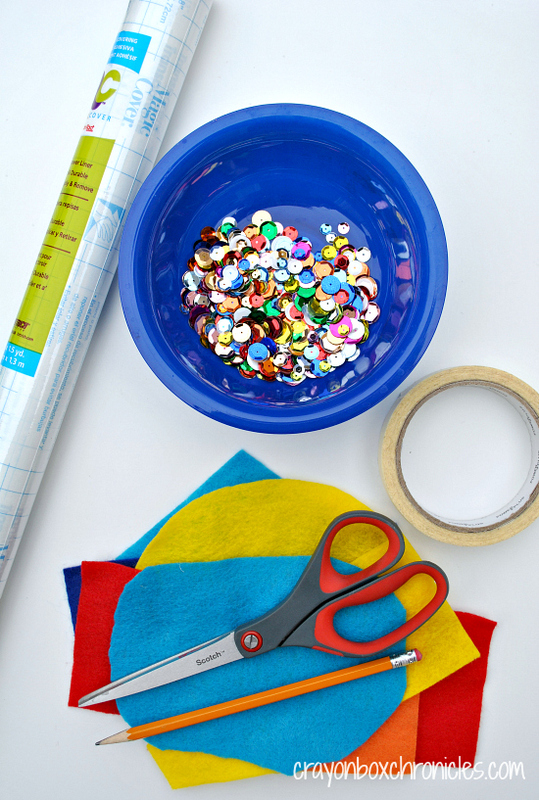 I would love you to link your craft ideas to Creative Saturdays. 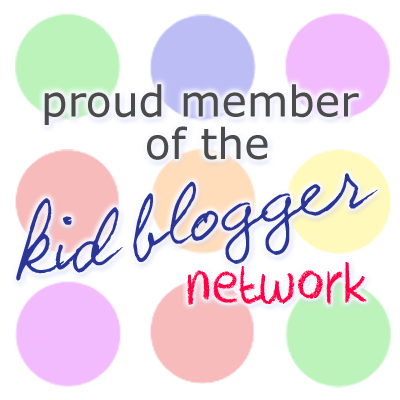 Pingback: Show-and-Share Saturday Link Up! - I Can Teach My Child! Such an awesome idea. I love contact paper. Thank you! This was awesome! I can’t wait to do another one together! 🙂 Love all your ideas! That looks so pretty! I bet it smelled just as nice! thank you! And thanks for the awesome tutorial!